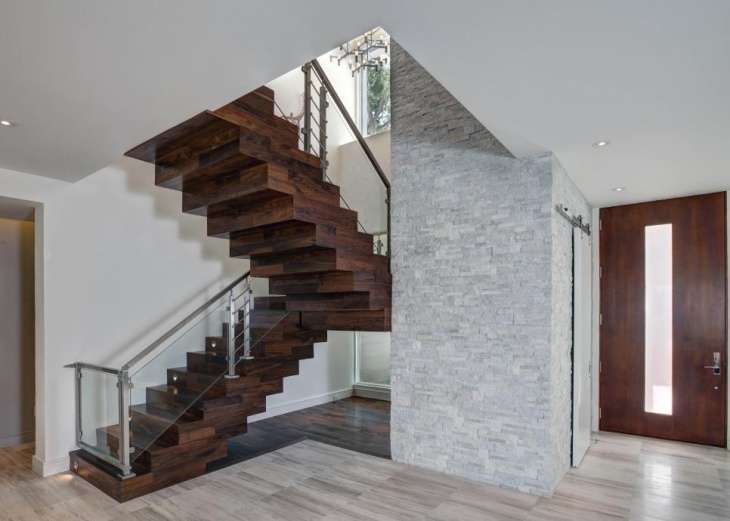 The beauty of wooden staircase is in the materials that are highly connected to nature. 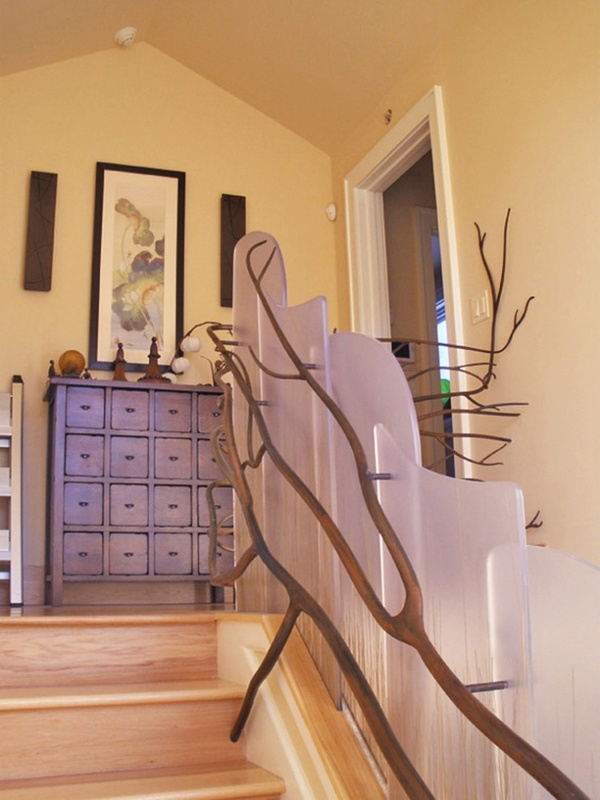 Though concrete and metal staircases are just as durable and beautiful in designs as the wooden staircase designs, the appeal of wood for nature loving people is just undeniable. Wood is easily available and supple. It can be shaped in whatever form you want. 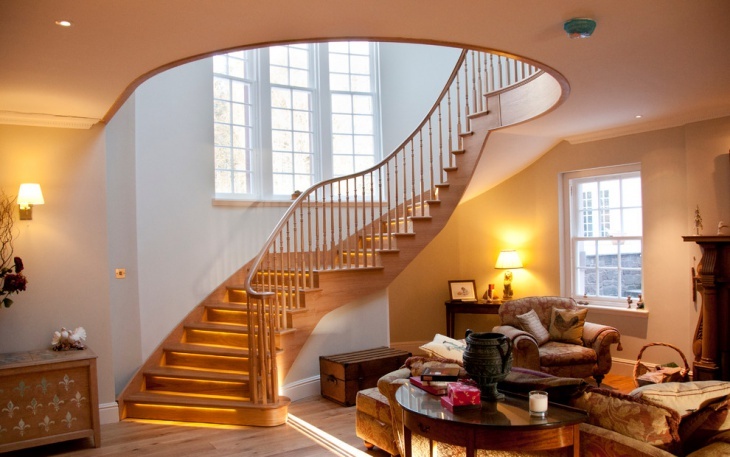 That is why it is possible to have an enticing wooden spiral staircase, if that is the design that you are inspired by. 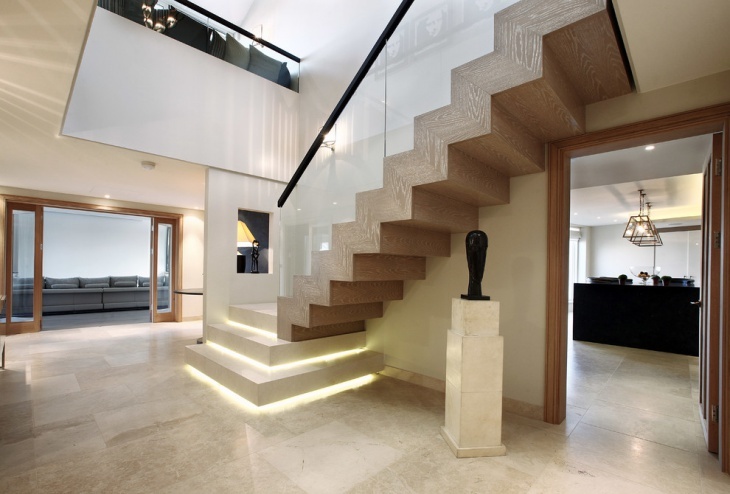 This mansion staircase is done in free-standing style, allowing for the feature to provide a point of interest in an otherwise boring interior space. The design has an open plan that allows the light to penetrate from any angle. The curve of the stairs are matched by the semi circular landing of the second level. 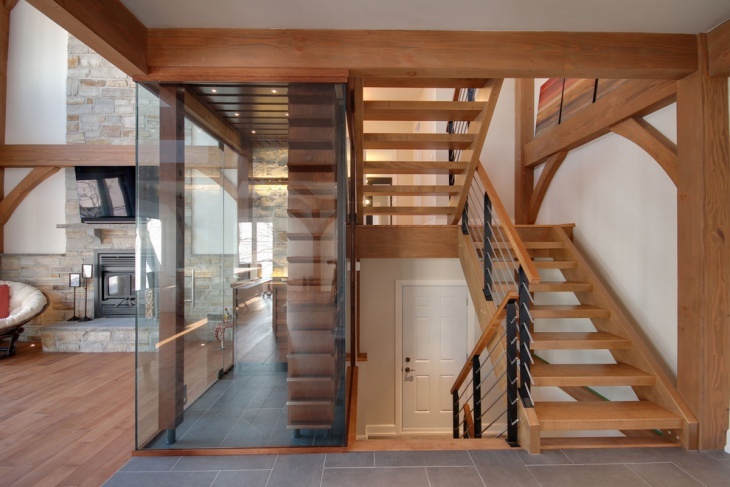 This set of wooden stairs that leading to the back door is matched perfectly by the wooden platform with additional steps. 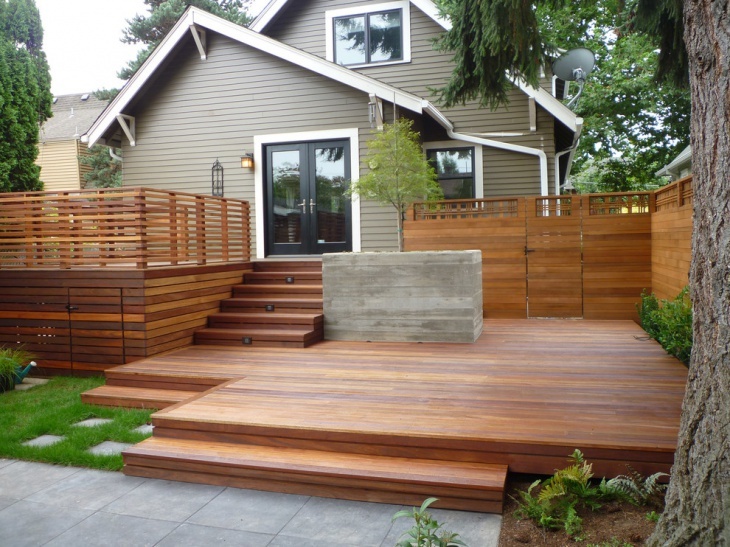 The wooden design allows a nice introduction to the backyard, which can also be viewed and enjoyed from the wooden deck. 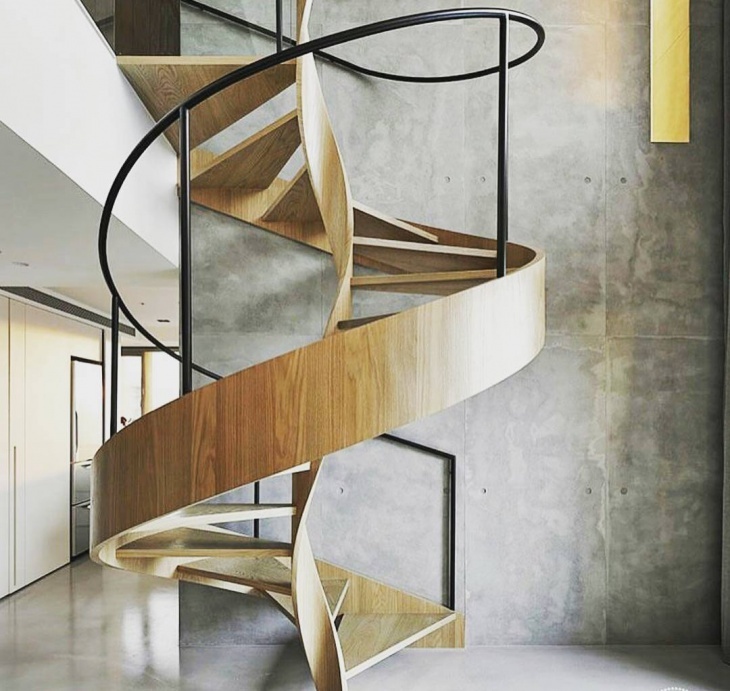 If you want a spiral staircase in wood, this one that looks like a wooden abstract sculpture should be one of your options. The steps are done in traditional spiral triangular shape, and the wood is curved to perfection to provide post and foundation to the spiral design. 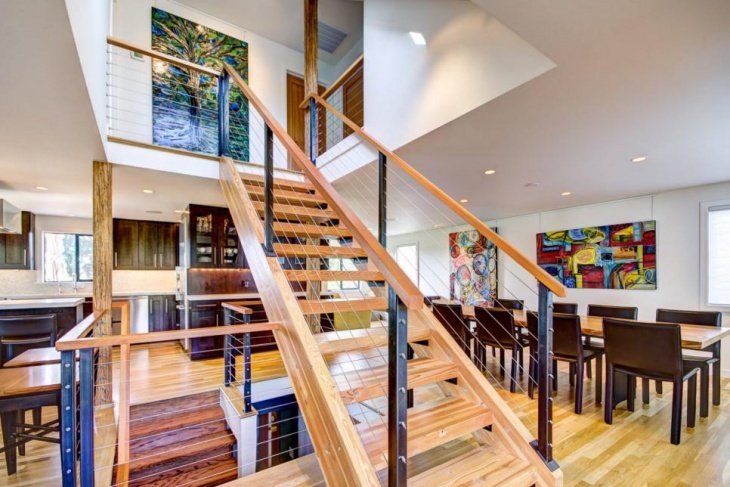 This multi-level interior is connected by short wooden staircases accented with metal rods. The stairs are installed on the side of the house, giving the living room its very own space, and the ascending and descending movements can be done without disturbing the activities in the main entertainment area. 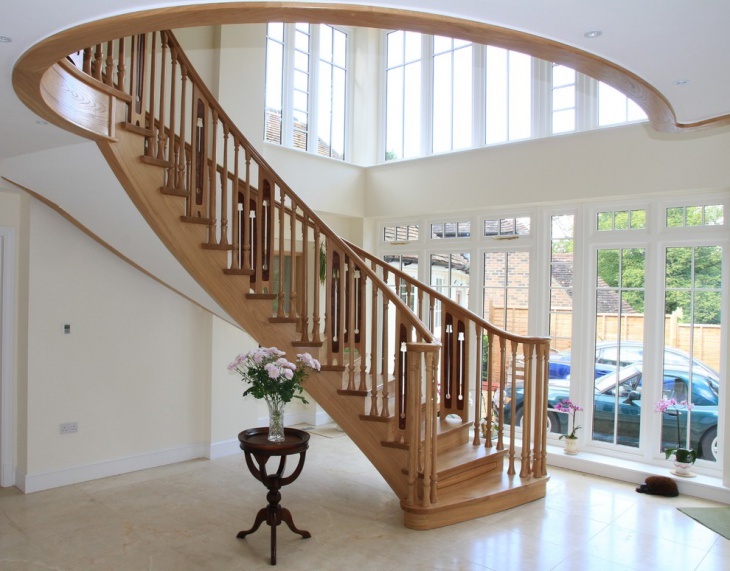 This wooden staircase has glass half enclosures that would be ideal for families with small children. 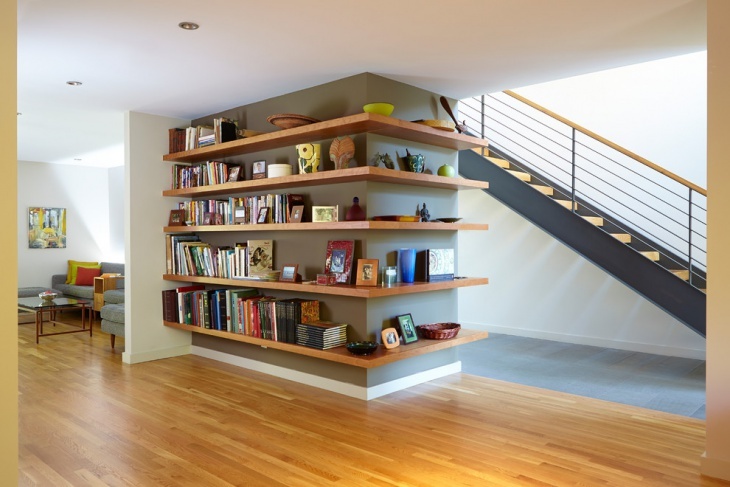 The glass prevents accidental falls into the wooden platform levels. This semi grand staircase in done with antique wooden feel. The curve is perfect and wood is the same polished material used for the flooring. This small garden has a unique Japanese appeal, thanks to the wooden platforms and stairs. The platforms allow for effective leveled distribution of the plants while the stairs provide access from one level to another. 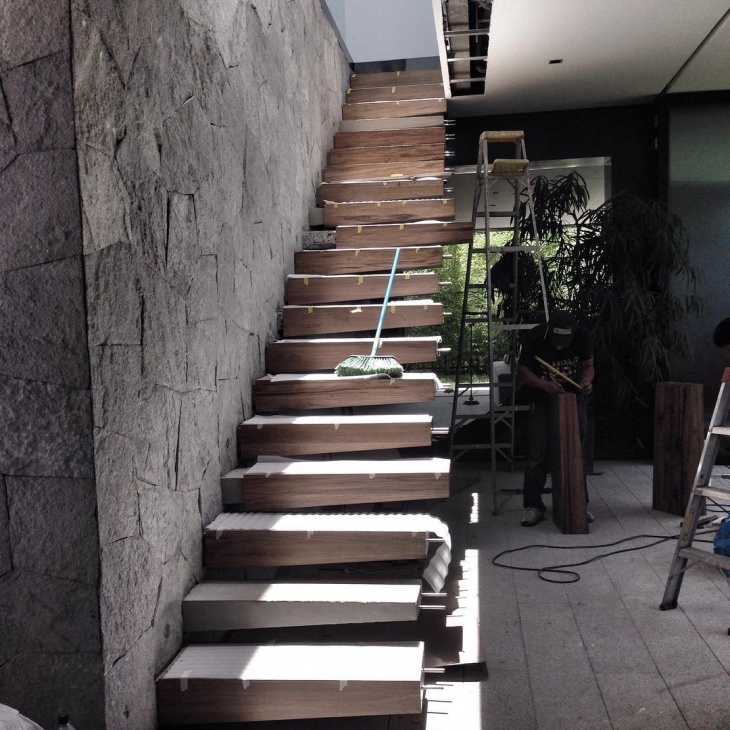 This floating staircase is done with steel interior and wooden exterior. The idea results in a sturdy, durable and reliable set of steps. The look is very rustic, especially so since the steps are attached to an unpolished stone wall. 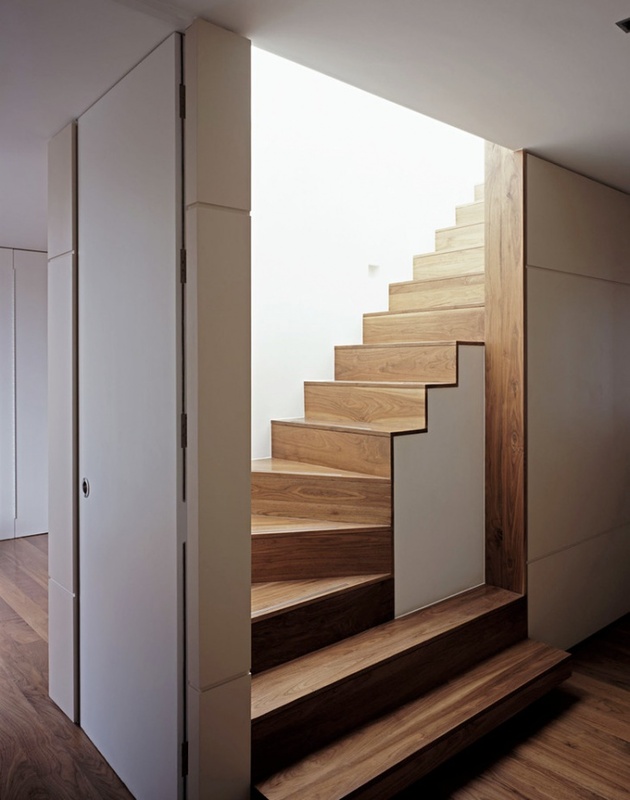 This modern wooden staircase is designed to provide access to a loft bedroom. 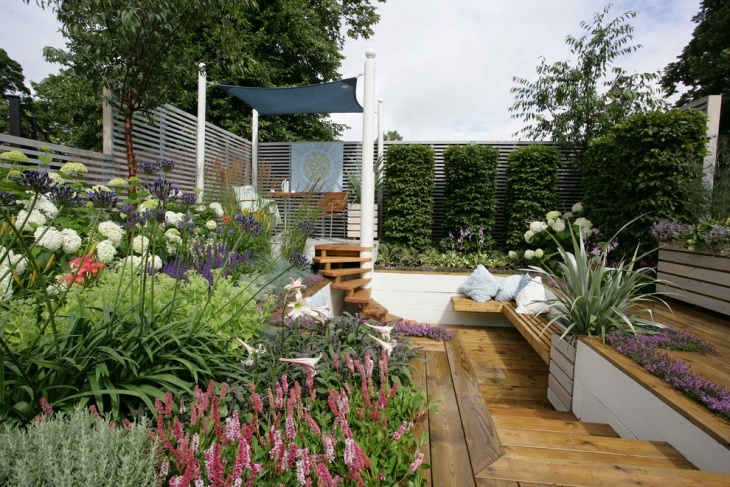 This is the ideal design choice for small spaces. The space under the stairs is actually made functional as well, by setting a work station on that space. 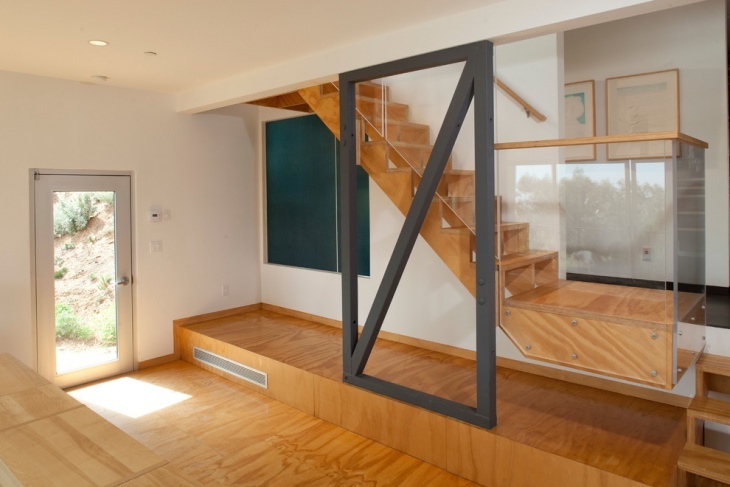 The glass cased railing allow for safety movements down and up the stairs, and it matched the glass half wall that provides safety and privacy to the bedroom. 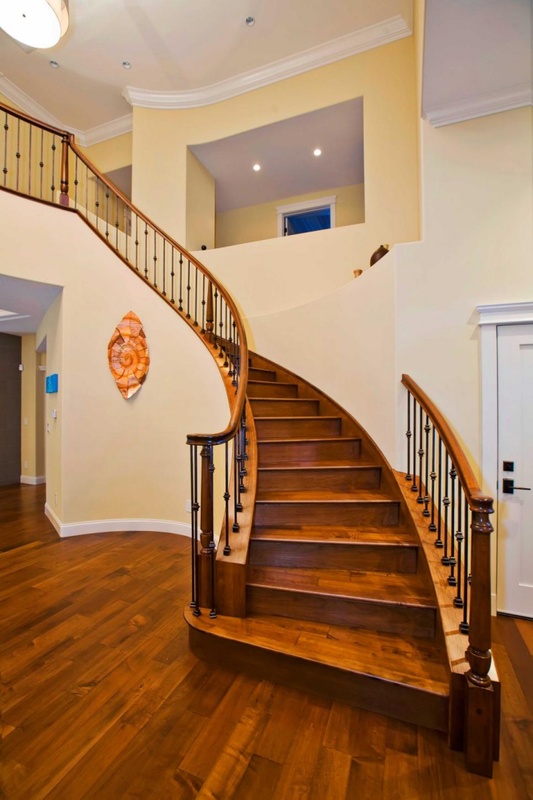 Wooden staircases are just as popular as concrete and steel types. 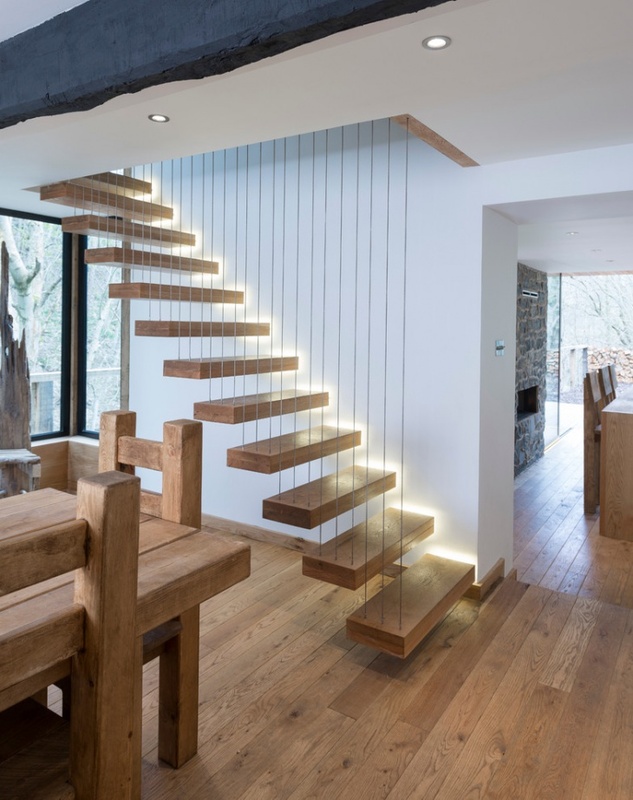 The good thing about staircases made of wood is that they provide a nature appeal indoors. This means that you can put the natural beauty and feel of outdoor stairs into your interior design with the use of wooden staircase.